We’re making some changes to the character art in STO, which you might notice in our upcoming Mirror of Discovery update. 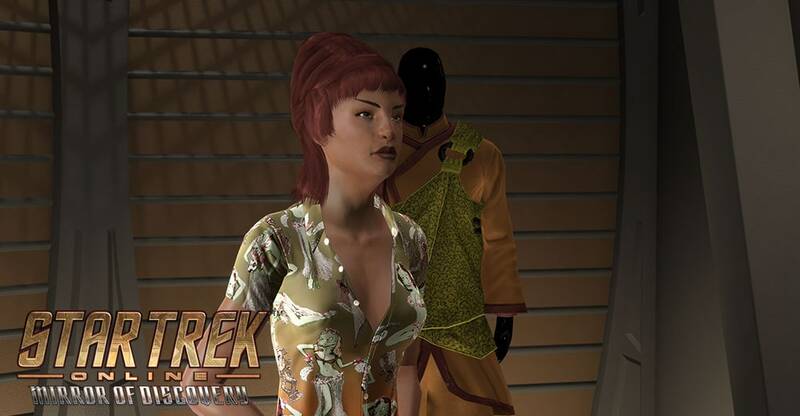 We spoke with Robert Quinn, one of the FX Artists for STO, about the details of these changes. My name is Robert and I am one of the FX artists on STO. However, I do a bit of technical art and shader work on the side. What are the changes we’ve made to player characters for this update? Our graphics team made a new shader for soft alpha that does not use Multi-sample anti-aliasing (MSAA). MSAA is very computationally expensive and it does not work on low-end PCs or consoles. 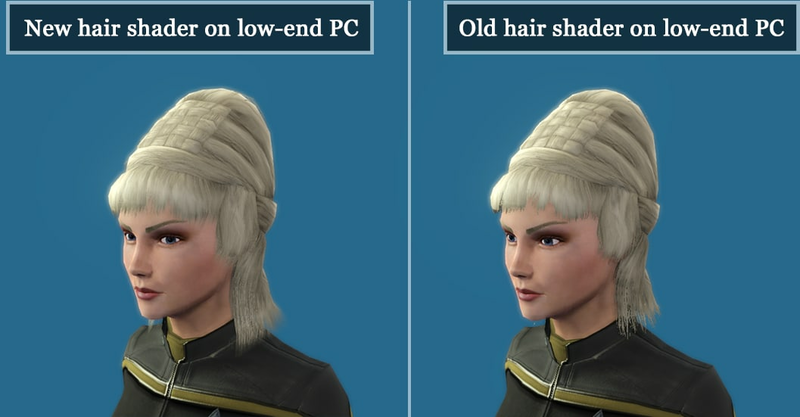 This made the Hair in STO look bad on low-end PCs or consoles. I updated all of the hair in STO to use the new soft alpha without MSAA. The result of this is that all the hair will now look the same on all platforms and will have better performance. How did you go about making these changes? While I was updating all the old hair shaders in STO I spent a little extra time to make the hair look better. I added anisotropic specular and made the hair color affect the specular color. I also adjusted how the fresnel and light bleed affected the hair color. This should make the hair look softer and more natural. After I finished the hair I updated the skin shader to make the characters look more alive. For this, I just added a bit of inverted fresnel to fake some subsurface scatter. What’s the process like of improving the graphics of a game like STO? The process is very different when you are making improvements on a game that has been live for several years rather than building something from the ground up. I did not want to break all the old hair in the game so I ended up having to preserve all the old inputs and textures of the old hair shader. I had to figure out how I could work around what was already in the game and add in the new functions I needed without breaking anything. This tends to be much harder than building it from the ground up. We are still looking into more ways we can improve the visual quality of the game and this just one step on our journey. Can you show us some examples of the changes? Below are some examples of the old hair and the new hair. So there you have it. Enjoy your new looks, Captains!